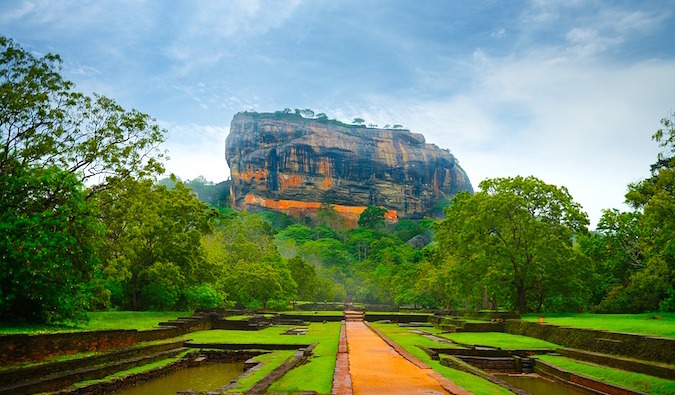 My visit to Sri Lanka — a jewel–shaped country in the Indian Ocean — was an unexpected surprise. I didn’t have a lot of expectations for the trip. But it turned out to be an amazing experience. I loved every bit of Sri Lanka: the verdant landscape, the delicious food; the crumbling, overgrown ruins; the abundant wildlife; and (especially) the welcoming locals who took hospitality to the next level. Traveling Sri Lanka is a relatively easy thing to do. It can be a little chaotic, with overcrowded buses moving along clogged roads where lanes are mere suggestions, and trains packed to the gills with people hanging off the edges (which actually is kind of fun). But English is widely spoken so once you get used the chaos, it isn’t too difficult to get around. 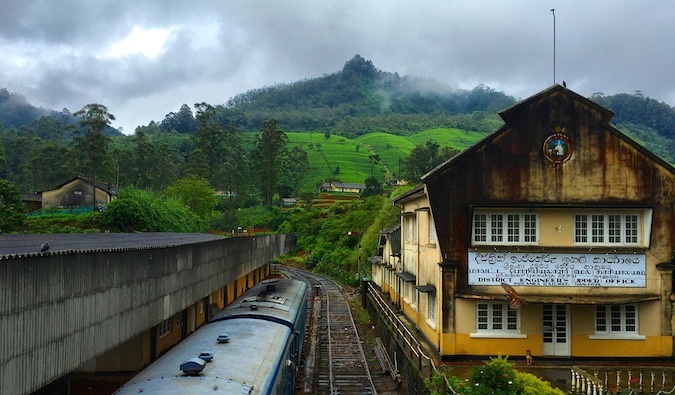 But there are a few things you should know before you visit Sri Lanka to avoid getting scammed, overspending, and, like me, missing some of the scenic trains! Travel Tip #1: Don’t drink the water – You shouldn’t really drink the water in Sri Lanka, so bring a reusable water bottle with a purifier. It’s really hot, so to keep hydrated, you’d probably spend 300 rupees ($2 USD) per day on plastic bottles of water at 60 rupees ($0.40 USD) each. But a water bottle with a purifier costs just $20 USD (though my preferred brand Lifestraw is slightly more). Over the course of a two-week trip, that’s an $8 USD savings (and you help the environment too)! Visiting Sri Lanka: How Much Does it Cost? Sri Lanka is a cheap country to visit. Even when you splurge, it’s not that expensive. Overall, I would say you couldn’t need more than a budget of $30 – 40 USD per day. The country is very cheap, especially if you stick to delicious local or Indian cuisine (the food is so cheap there’s no reason to grocery shop and cook your own meals), avoid the overpriced Western style restaurants (local food tastes much better anyways), travel second class and on buses, and don’t go crazy with the accommodation. Ever though I was on a budget, I didn’t go as low as I could (dorms every night, only Sri Lankan food, minimal activities, etc) and still found it was hard to break the bank. The expensive days in which I took a tour or decided to try some fancy restaurant were balanced out on the other days I didn’t. Where should you go in Sri Lanka? Everywhere – if you have the time! Most travelers focus on the southern half of the country, with its hiking and beach towns. After decades of war, the north has a legacy of destruction that has yet to go away. I would break your Sri Lanka travels into two parts — the north/center and the south — and focus on one of those regions. There’s simply too much to do in the country and travel (buses and trains) around the country is too slow to try to cover so much ground in a limited time. Unless you have more time, then the world is your oyster! If you have a month, you could do this entire route plus add in the coastal towns of Arugam Bay and Negombo. With two weeks, focus on either the southern coast or the central/northern areas. For accommodation, I really liked the following places to stay in Sri Lanka. They were the best beds, had the friendliest staf, and were a great spot to meet other travelers. For restaurants, besides the list above (item number 2), I would also recommend the Ministry of Crab. It’s an expensive seafood restaurant in Colombo but it’s delicious! Sri Lankan crab is famous worldwide and they have gigantic ones. It’s not cheap but sometimes, you just have to treat yourself. While I didn’t go out much, if you find yourself in Kandy, the Slightly Chilled Bar is a popular meeting spot and has wonderful views of the city (and the sunset). Looking at the map of Sri Lanka, you might say, “Oh, it’s not that big. I bet I can cover a lot of ground in a short period if time.” You could, but you won’t “see” much. It will be too much of a blur. There is a lot to see and do in Sri Lanka and it takes awhile to travel around. Don’t rush your trip. Sri Lanka may be small but it packs a powerful punch. 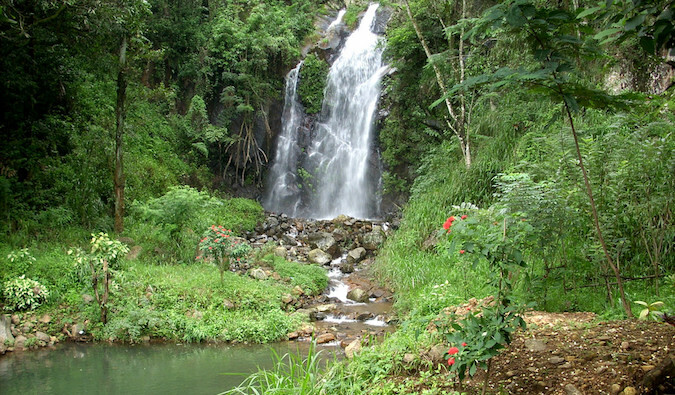 Take your time to see this land of jungles, waterfalls, monkeys, delicious food, and lovely people! Definitely topping my bucket list for next year. What would you say is the highlight of the island? I guess no offense answering this question as a local. The originality, hospitality and the generocity of people as well as the diversity of weather and the eco system would be the highlight of Sri Lanka. It is such a small country with a vast variety of weather. One can go from a single place to another in around 3 hours and everything changes. The trees, the animals, the temperature the people the surroundings etc. on the coast in Colombo it is around 30 degrees celcius average and up in the hills in Nuwara Eliya it drops to around 10 – 15 degrees celcius. Welcome to visit Bruno. I am sure you will have a wonderful time. You are 100% safe even as a female travellar,But you have to be careful with few things. Mostly Tuk tuks in Colombo(They will tell you higher prices always you have to bargin the price),And when you are at the beaches,And when you travell in public transportationif it’s crowdwd you have to take care of your things. As a Sri Lankan I promis you there is Zero violence againts tourists but to be honest most of the time you get cheated. $30 is perfect price per day for a Car(But if it’s included dricver’s expences) Normally cheapest which I know is $50 per day. Great composition Lydia. Cannot be more accurate. Pidurangala gives a wonderful view of the Sigiriya rock. Galle fort was built by the ducth around 300 years ago. It is like a mini european atmosphere in there. This guide helped me a lot.. Thank you for the information. Absolutely CANNOT WAIT to get to Sri Lanka…. and you provide an itinerary and everything. What a boss! If you are still around here Matt, you can take a few suggestions from the places we have visited. Might inspire you. I live in India and Srilanka islike a neighbor. The itineraries are very well-planned I must say. Really great blog, full of useful tips and beautiful pics ! 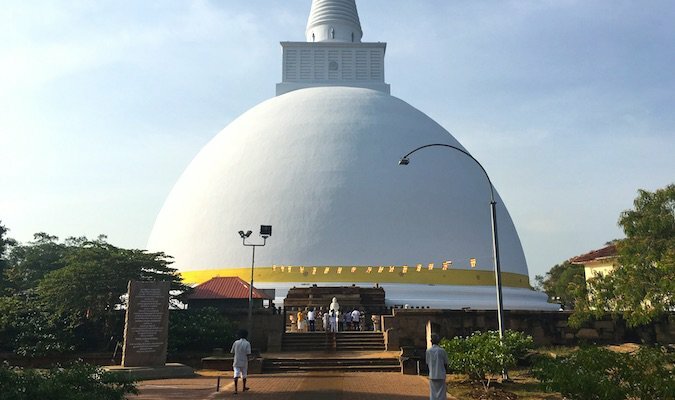 Thank you so much for visiting Sri Lanka and the lovely post! Yes, you have missed a lot from what i see. 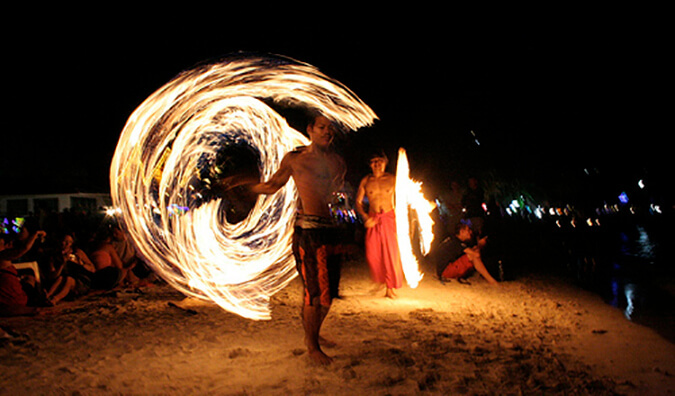 Sri Lankans do love a good night out and there are millions of places even in Colombo. Next time you visit i am sure you would have more fun and memories. Great post. I would avoid not paying for historical site entry if you can, just in case they use the money to preserve the sites. I did some hiking there a few years ago. Adam’s Peak and World’s End are well worth a visit. Really loved Sigiriya but we did get surrounded by a swarm of killer wasps. We stayed really still and quiet so remained unharmed. This is an excellent resource that I will be referring to if and when we go to Sri Lanka. I have seen the food on a travel show and it looks right up my alley and with a price of $1 to $3 that is so affordable. The fact that English is widely spoken would make travel a lot easier. Lots of great info here. Thanks a lot for that post and the huge amount of information. It will definitely help me plan where to go and what to do. I will be scuba diving in Weligama and now want to find some other things to do and see besides the underwater world. So looking forward to my trip to Sri Lanka, now even more. Bless you for this! Sri Lanka is number one on my “must visit” list right now! Sri Lanka is happening next year. Thanks for the fantastic tips Matt. Sri Lanka is definitely one of those places you need to keep on your bucket list! 8 months sure seems like a long time, you should definitely come down. It’s such a good country to travel to mainly because it’s comparatively small and you can see quite a lot of places in a short span of time. Such a great guide! I can’t wait to get there some day! Thanks Matt, another brilliant post. I’ve wanted to go to Sri Lanka for a while but haven’t managed to yet – this post has had me searching flights for next year! I’ve never had much of an interested i travelling to Sri Lanka butfrom your photos it looks like a beautiful place but i guess it depends where you go. Thanks for the info! Might have to pop it on my bucket list, its a fairly short flight from Australia (over going to Europe). Wow, really amazing. Thank you for sharing such interesting and informative guide. I’m going to Sri Lanka next week and your tips and itineraries seem really interesting and useful. I’m a student and for me, such travels are pretty good for discovering the world out from US. I really want to relax and don’t think about my college assignments, so to deal with I use online writing services that provide me really original and pretty quality paper. Wow, what a great post! I’ve seen so much about Sri Lanka lately for some reason. A few friends are from there so I’ve seen photos popping up recently on Instagram which has given me reason to open my eyes to it I think. Stunning! You’ve given such a great rundown here so I’ll certainly be referring back to it! Thank you! Wow Sri Lanka is so beautiful!!!! Wow I didn\’t realise Sri Lanka was so cheap to travel in! Thanks for sharing this detailed post, loved reading it. Nice breakdown! I loved my stay in Colombo 3 years ago. So much to do, fab eats and it had a certain gritty feel where we stayed. Actually, those folks hanging outside of the trains we saw was about the funniest thing we watched unfold in Sri Lanka. Like sardines packed into a tin can, but hanging out at all possible angles LOL. A friend who once arrived from her Sri Lankan trip was gushing about how beautiful the place is, with lots of interesting sites, and cultural attractions. It piqued my interest about this country since then and I have been browsing the net, reading various references to the place. I’m glad to have read your post. It’s a great help especially when I finally get to plan a trip to Sri Lanka. Thanks for this post, very timely as working on travel plans there for January, helpful point on size of country and itinerary options. cheers! Great post, Matt. I will definitely go and visit Sri Lanka. It’s in my dream already haha. I’ve been to Sri Lanka several times but have never heard of an airport train. Can you shed some more light on this please? Hello! I’m Sri Lankan and thank you for sharing this wonderful article. 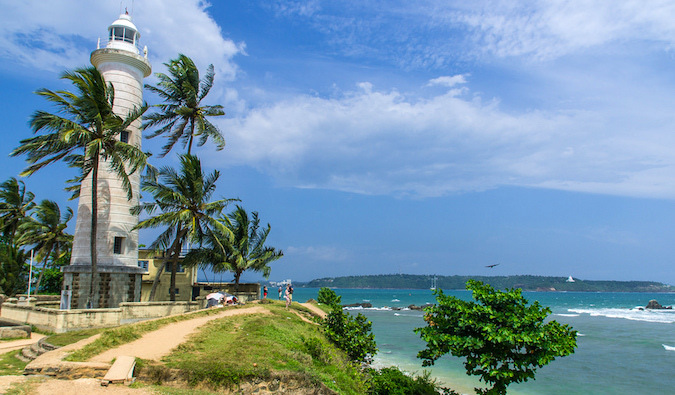 So nice to see how the readers are intrigued to visit Sri Lanka after reading this blog! If you are ever coming back to Sri Lanka, let me know and I can provide with much more services with accommodation / transport and information as well. Meshaun, I am a 74 year old American woman planning to visit Sri Lanka within the next month. I will be on a very limited budget and have been alarmed at the cost of hotels/guesthouses. Are there any rooms available in a price range of $8 to $12 in Colombo? I would need a private room as I am a little old to enjoy the dorm rooms!!! I had planned on spending my time in Colombo but after reading this blog I may want to branch out a little more! Any help you can give me will be greatly appreciated! Thank you for the advice it is rewarding, wonderful. Thank you very much! Thanks for the tips! I’ve been thinking about visiting Sri Lanka for two years but never make it. Your blog gives me courage to go there alone. Thank you again, Matt. Looks like Sri Lanka is in the sweet spot for being developed enough to make for a great trip!! Sri Lanka is a place that I have always wanted to go. Thank you for this excellent article, particularly on the part of getting clean drinking water. Have always looked forward to reading your articles. I will be traveling in Sri Lanka for the last 3 weeks of january. My girlfriend feels we need to make reservations ahead for accommodation. I would prefer to go with a looser itinerary finding accommodation on the fly. Will it be difficult to find a place to stay waiting to the last minuet? 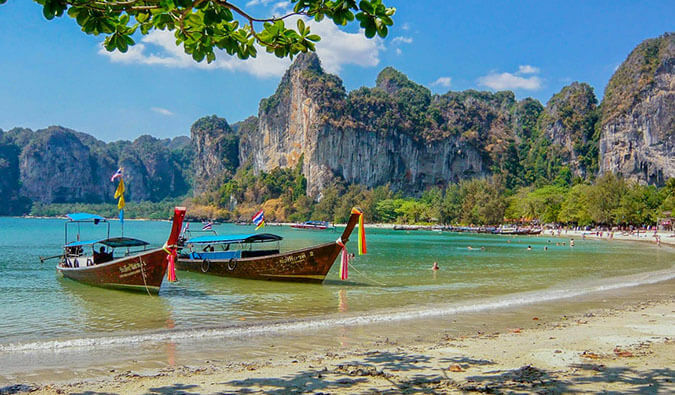 Great write up of a spectacular country. One of the best I’ve ever been to and don’t get me started on the food. One thing I will say about your cost list is that although it gives you an idea, it is quite generic and tuk tuks, buses and train fares all varied quite a bit. I recorded every cost for everything we did in our two week itinerary (link in name). Hope that helps. Hallo and thank you for this post, very inspiring. Do you have a reccomondation for a Place to stay in Colombo? We are still at the beginning of our travel plan for Sri Lanka but at the present time I feel the choice of an area in Colombo as difficult. Love the post! I’m headed there at the end of May and still working out my itinerary, originally I wanted to get to Jaffna, then I thought it would be too far to go, but now I’m throwing it back in! I’ve been wondering about attire there, is it okay for women to wear shorts? I’m planning to do a good amount of hiking and I’m a very warm person! I just want to be sure don’t disrespect their culture. I will reach Colombo at around 6 AM on 16th May 2017 and have time to reach back to Colombo till 18th May 2017. Can anybody please suggest a 3 day tour itinerary for 2 persons with private car and driver? Hi. My friend and I (two girls from India) are planning to travel to Sri Lanka sometime in August. I wanted to know if you organized your trip through an agent or you booked your accommodation and travel at each destination separately on your own. I will be travelling to Sri Lanka in June/July 2017 and I’m wondering what currency I should have on me. I have spoken to several people about this and the answer is always different. Some say you only need USD, others say Sri Lankan Rupee and others say both. Some advice on this would be great! Thanks so much for this! It’s really helpful! I’m only going for a week, what kind of itinerary do you recommend for that? Starting at Colombo. What is the visa price and can i visit srilanka without a guide? What do you suggest from your experience? I will have whole month next year for holidays and Sri Lanka is the place I want to go. So, since I will have 30 days to spare, what’s the best month to travel? I’m looking forward hiking, the scenic train and the beach. Great post! Do you recommend taking a mosquito net with us as we travel Asia? Great post. i would love to keep in my bucket list. Do i need to book through agent and how can i get visa? Helpful post but as a western traveller in a poor country, extremely disappointed to find you seeking to avoid a small fee to experience a world heritage listed cultural site, and moreover, sharing this information with others. May be worthwhile considering your relationship with and impact on those places you travel to, rather than how you can take whatever you can (including experiences) at least cost to yourself. I was thoroughly enjoying reading this until you suggested that people dont pay for entry to a tourist attraction. Do you understand that this money goes towards upkeep and preservation of this site that you have traveled half the world to see. In the grand scheme of things perhaps if you cant “afford” to pay $25 to enter these incredible sites you dont deserve to go!! Disgusting behavior!! We are off to Sri Lanka in two weeks. Everything organised and set. We have been advised to change our Sterling into Rupees when we arrive to pay for the places that only take cash. The rest of the time we are using no fee credit/debit cards. It’s best to get the currency in the country! Sri Lanka has closed currency so you wouldn’t able to get Sri Lankan currency out the Island. Get it at Colombo airport. Love reading your blog and facebook posts. What are your thoughts about Sri Lanka for Solo travel? Based on your blog post it seems fairly backpacker friendly. I am considering a trip in January 2019. This is super helpful as I’m going in may, I’m there for only four days and I want to see some beautiful sights but I’m not sure where I should be based . My friend thinks Colombo but I think we should be closer inland. Where do you think we should stay for a short visit? Is November an okay time to travel to Sri Lanka? I am planning a trip from the 2nd to the 10th of November. I know its the monsoon season then but is it really bad or doable? I think it’s very irresponsible for you to encourage tourists to avoid paying for entry to Anuradhapura. Entry fee helps to cover costs for employing locals and maintaining the facility. If you can afford to go on a holiday then I’m sure you can afford to spend the $25 for the entry fee. Where is the most family friendly part to stay? I want to introduce new places in the world to my daughter but she’s not old enough to do a backpacking or hostel type holiday yet. It’d be ideal to have a beach hotel base and do day trips here and there. Same here Matt, there are still so many places to explore in that country. And I always love Sri Lankan food. Its just so easy on the pocket.